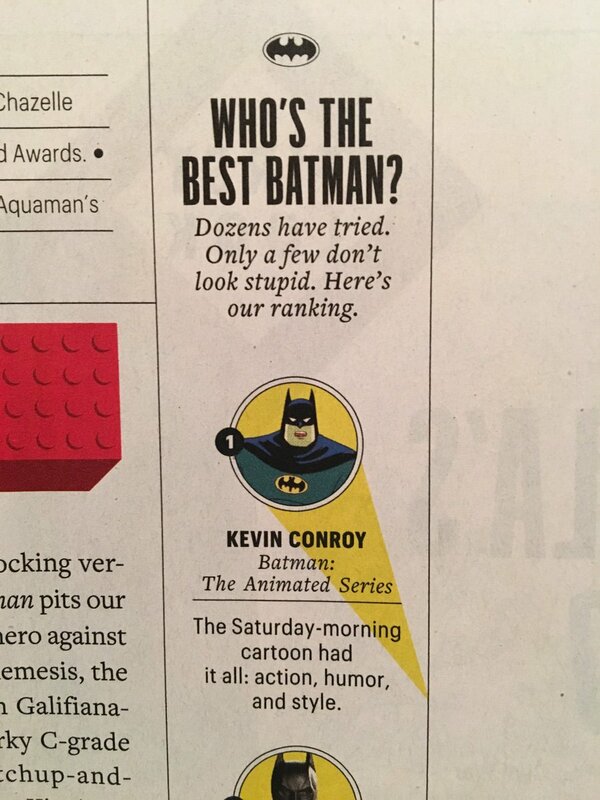 Any fan of the Dark Knight worth their weight in shark repellent bat spray just heard that line in the voice of legendary voice actor Kevin Conroy. For almost 25 years, Conroy has been the sound of Batman and Bruce Wayne in television, movies, and video games. And he’s the voice that comic book readers will hear in their head forever more. 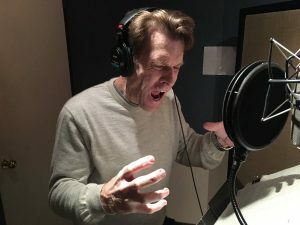 Although he’s been Batman for a quarter of a century, many fans may not know that Conroy fell into voice acting by chance – and that he is actually a classically trained theatre actor. Kevin is coming to town in April, appearing at the 2017 Wizard World St. Louis Comic Con. This will be the actor’s third stop of eight scheduled visits this year. 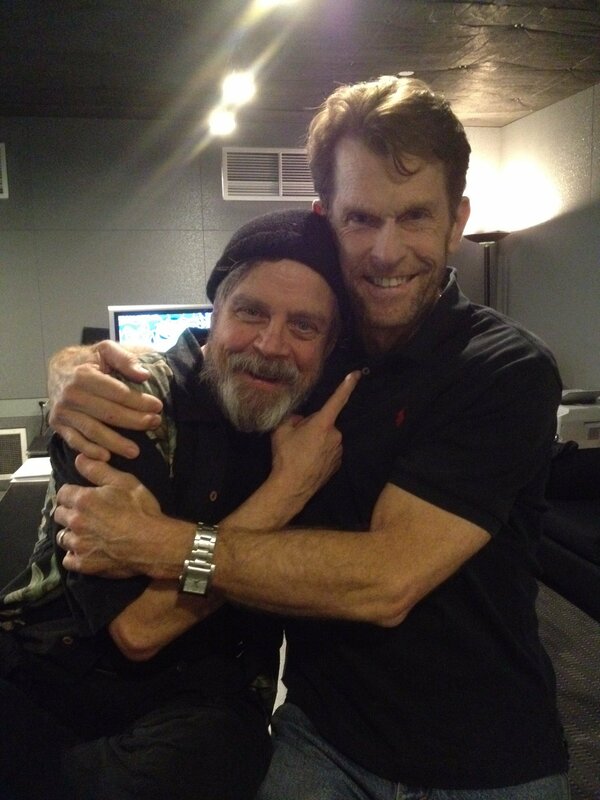 We had the pleasure of speaking with him about his time in the theatre, dawning the proverbial cape and cowl, and some of his favorite Batman moments over his career. One of the most critically acclaimed productions of Shakespeare’s A Midsummer Night’s Dream was directed by James Lapine (Into the Woods), recorded to air on CBS and starring a 26-year-old Kevin Conroy as Lysander. It also starred some very familiar names. So how did the talented stage actor go from Shakespeare in the Park to voicing the Caped Crusader? 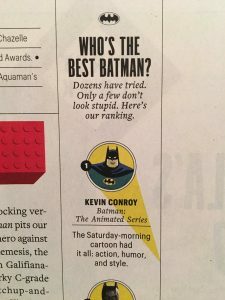 While many kids may have grown up watching Batman: The Animated Series as repeats on Saturday morning, or after school, Conroy remembers where the show was first broadcast. Kevin recently returned from Wizard World Portland, which was his first of eight cons this year with the company – as well as his first trip to the city. The actor isn’t the only cast member at Wizard World from The Animated Series. Also attending the con at each stop is none other than the boy wonder himself (and eventually Nightwing throughout the series) – Loren Lester. Just like the original series twenty five years ago, the new show has no shortage of talented actors. As far as most animated shows go, WB as a strategy to get the best performances out of their voice actors. Many fans of Conroy’s work may find it surprising that he never grew up with comic books. His introduction to the character was through Adam West and Bert Ward. “When I went in to meet with Bruce Timm, Paul Dini and Andrea Romano, they asked, ‘what’s your experience?’ And I said, ‘you know, the ’60s show from Adam West.’ And they said, ‘no, no, no! That’s not what we’re doing. Erase your brain and start all over!’ I think the fact that I had no preconceptions at all of what they were going to do, and just improvised in that room, is what got me the role. I really felt completely liberated to just use my imagination. I got to just go on what they told me, and how they described it to me. My imagination brought me to that very dark, husky sound. And then I thought, he’s the most famous guy in Gotham, and the wealthiest. He puts on a mask and no one knows it’s him? Come on! So I said to Andrea, ‘let Bruce Wayne’s voice be more like my natural voice, so that when he becomes Batman it’s more of a disguise.’ So they let me play with that idea, which really worked out well. 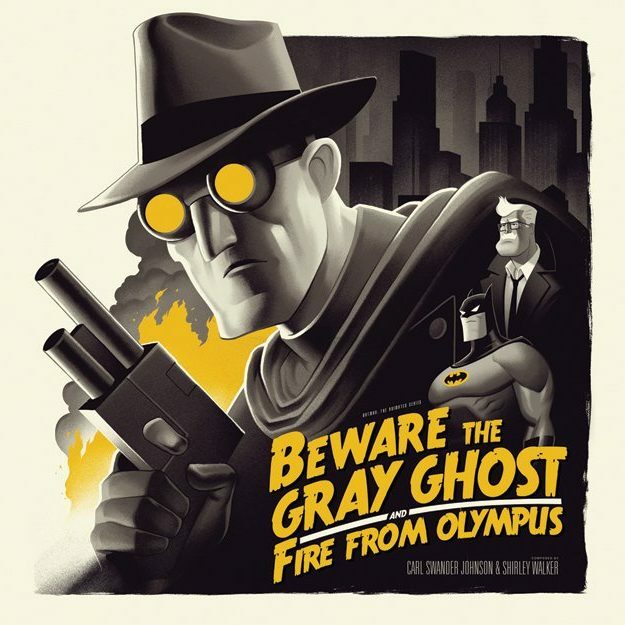 During the first season of The Animated Series, the episode “Beware the Gray Ghost” starred Adam West as character who Bruce grew up watching on television as a child. 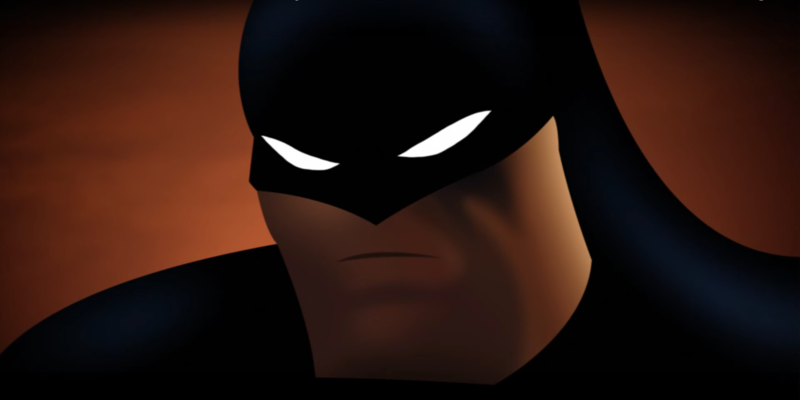 Voicing one of DC’s most iconic characters isn’t all just fun and games. 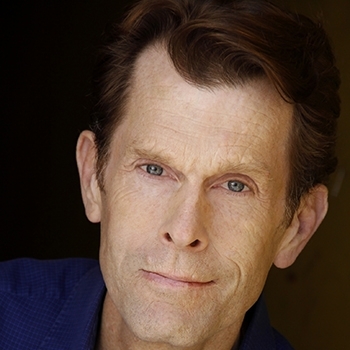 The actor has realized just how many lives he has touched over the years. “You know what’s fascinating about it – when you’re the voice of a cartoon – people experience you in their imagination. They let you into a much more personal place. So when people approach me, especially at comic cons, or I meet them on the street – they approach me as if I’m a really close friend. Like they already know me. I’m someone who’s been very intimate with them in their childhood, and Batman is such a safe zone for so many kids. A lot of kids grow up in very troubled situations. I asked the Batman himself if there is anyone that he gets excited to see when he goes to shows. Between now and his next convention, Conroy keeps himself busy with work as the Dark Knight. 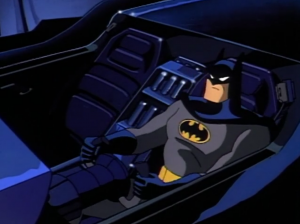 Meet Kevin Conroy at the 2017 Wizard World St. Louis Comic Con April 7-9! Kevin is available for autographs when you meet him at his booth, and tickets can be purchased on-site at the table for $40. For more information, visit WizardWorld.com.